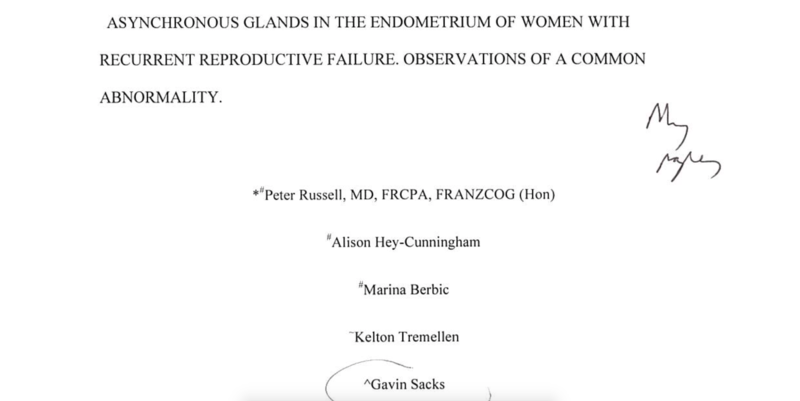 Asynchronous glands in the endometrium of women with recurrent reproductive failure. Blog Articles that appear on this website do not reflect the opinions of Dr Gavin Sacks or any organisation that he may be affiliated with. All content provided on this blog is for informational purposes only. The owner of this blog makes no representations as to the accuracy or completeness of any information on this site or found by following any link on this site, and this information should not be replied upon as medical, financial or legal advice. Always consult with a medical professional before taking any action. The owner will not be liable for any errors or omissions in this information nor for the availability of this information. The owner will not be liable for any losses, injuries, or damages from the display or use of this information. This blog disclaimer is subject to change at anytime.